As part of Sci-Fi London's Reality Check podcast series, Alex Fitch talks to Paul Cornell about his work on the BBC radio adaptation of 'The State of the Art', which airs on Radio 4 tomorrow (Thursday March 5th) at 2.15 p.m. as part of the current BBC R4 Sci-Fi Season. Welcome to the latest Q&A session with Iain Banks. The first two sessions can be found here: Q&A session I and Q&A session II. Iain has been interviewed for the latest edition of Writer's News Writing Magazine and talks about a number of writing-related subjects, including plotting, character development, pre-planning and avoiding the temptation to polish work until the first draft has been finished. Interviewer Judith Spelman has posted a (1.23Mb) pdf copy of the piece on her own website at www.judithspelman.co.uk. The Guardian asks Iain a few quick-fire questions about his environmental credentials in their Green Room column. Independent columnist Matthew Bell makes a brief mention of Iain's recent appearance at the Edinburgh International Book Festival. Webzine Dazed & Digital has a brief interview with Iain, also conducted during the EIBF. Paul Cornell gives a brief progress report on his BBC radio adaptation of 'The State of the Art' during an interview with IO9.com. Welcome to the second Q&A session with Iain Banks. Iain enjoyed the first Q&A session back in July that he asked us to set up another one pretty much right away. Here's the link to the original article: www.financialradio.co.uk. Embedded audio after the jump, click on 'read more' to access. Iain [M] Banks Q&A session II – more questions, please! Iain enjoyed providing answers for the first email Q&A session so much that he's asked us to set up another one right away. Send your best question (just one per correspondent, please), by email, to orbit@littlebrown.co.uk, with the subject line 'Iain [M] Banks QandA Suggestion'. The deadline for submissions for this second session is Wednesday August 13th. After that date, the half-dozen or so queries that - in the collective opinion of the team here at Orbit / Abacus - are the most interesting and / or intriguing will be put to Mr Banks for his consideration and contemplation. The resulting answers will then be posted to to the website as soon as Iain has gotten his answers back to us. Iain [M] Banks Q&A session – send us your questions! 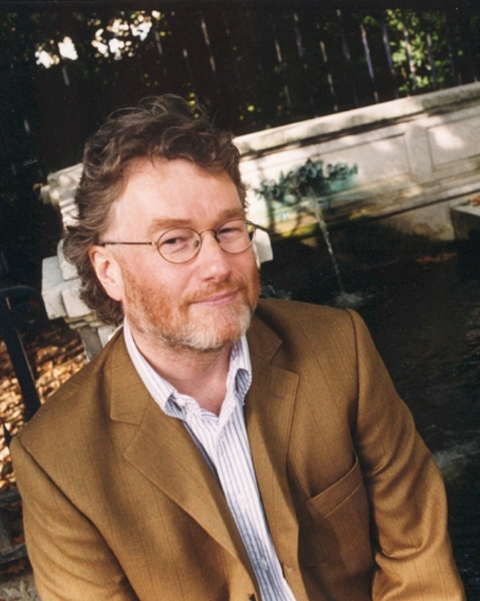 In a few weeks' time, the one and only Iain [M] Banks will be participating in an email QandA session, which will be conducted via this-here official Iain Banks website. We're therefore looking for a selection of interesting, intelligent questions to put to him. So if you've got a burning issue that you'd like Iain to address, or if there's something that's intrigued you about his recent work, or a question that's been lurking in the back of your mind ever since you read one of his earliest novels that you'd now like to bring into the light of day, then this is your chance. Send your best question (just one per correspondent, please), by email, to orbit@littlebrown.co.uk, with the subject line 'Iain [M] Banks QandA Suggestion'. The deadline for submissions for this first session is July 9th. After that date, the half-dozen or so queries that - in the collective opinion of the team here at Orbit / Abacus - are the most interesting and / or intriguing* will be put to Mr Banks for consideration. The resulting answers will then be posted to this very website in due course. We're hoping that this will be the first of a number of regular Q&A sessions with Iain, so don't worry if you can't think of something fascinating to ask him straight away; why not mull it over a bit and maybe submit it to us for the next round? *Hint: Questions such as "why did you cut up your passport?" and "why did you sell all your sports cars?" have been answered no end of times elsewhere, we feel. Likewise, "where do you get your ideas?" will be given short-shrift indeed. We're looking for interesting and / or intriguing queries to put to Iain, folks... so fire up those imagination circuits! The latest issue of Andromeda Spaceways Inflight Magazine includes an interview with Iain [M] Banks which was conducted in January this year. David from 'The Banksoniain' tells us the piece "starts off being about Matter, but goes onto more general things, including the first hints that the next SF book is likely to be a 'Culture' one..."
Intriguing stuff. See the ASIM website for more information on ordering a print (AUD$8.95 plus postage) or pdf (AUD$4.95) copy of the latest issue. You can check out the video version (in two parts) over on the CNN website, or if you don't have a broadband connection handy right now, you can read the text version of the interview instead. John Joseph Adams talks to Iain [M] Banks about Matter, over at SciFi.com. Cole Moreton interviewed Iain for British daily The Independent back at the beginning of the month. The interviewer was very interested in Iain's politics and the fact that he's now renewed his UK passport, which he famously cut up and sent to Number 10, Downing Street in protest at the UK's involvement in the Iraq War. Lev Grossman has posted a review of Matter over at www.Time.com as well as an interview with Iain, which you can find over at his and Matt Selman's Time.com hosted Nerd World blog. "I suspect it's just the right balance of wide-eyed, totally fascinated enthusiasm for 'real' tech speak along with a healthy dose of cynicism regarding how easy it is to make up such stuff without really having any idea what in the hell you're talking about. I am happy to report I have both, in spades." Read the full interview at time-blog.com/nerd_world and thanks again to Alex for the heads-up. Journalist Craig McGill has posted a piece on his blog that offers an insight into the journalistic / editorial processes of the UK's tabloid papers. Craig recently interviewed Iain Banks for The Scottish Sun. In his blog piece he has posted the original audio file of the interview, along with the copy that he submitted to The Sun and a pdf of the final article as it was printed in the paper. He also invites journalism students to prepare their own piece from the audio transcript and submit it to the site for comparison purposes. "I shall be using a staggeringly complicated but brilliantly capable music processing program called Logic 7 to make music on. Objectively the results might be unlistenable rubbish but as I can finally hear through my ears what I've only ever heard in my head all these years, I remain resolutely tickled pink by the whole process." Peter Wilson, Eurocorrespondent for The Australian, visited Iain Banks in Edinburgh and wrote up an interview that's available now on the website under the tag-line Two Curmudgeons for the Price of One. Iain talks more about his life than his writing in this one (or at least, that's how it's written up), so it makes for some interesting background reading. io9.com blogger Annalee Newitz posted a double-dose of Banks-related content yesterday. "Told with Banks' usual nihilistic humor and flair for outlandish description, this is a novel that will grab you by the shorthairs, scream at you about realpolitik, and then smack you on the head with a laser blast. And of course, you'll love every minute of it." Head on over to io9.com to read the full interview and review. The February 2008 issue of The Socialist Review carries an interview with Iain, conducted by Patrick Ward. As you'd anticipate, there's plenty of political discussion, along with questions about both Matter and The Steep Approach to Garbadale and some thoughts on 'The Culture as Utopia'. "I'm thinking about thinking about the next book. I'm going to start typing it in October. So I'm not thinking about it. I'm thinking about thinking about it. There's a distinction I hope you appreciate." You can read the full interview at www.socialistreview.org.uk, as well as Patrick Ward's (brief) review of Matter.